Italy - I Say Ding Dong Shop - Buy Stickers, Decals & Unique Automobilia. Crossed Italian & Chequered Flag & Garland Sticker. 4". 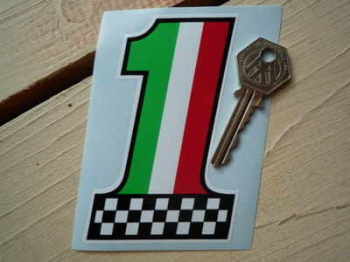 Crossed Italian & Chequered Flag Sticker. 4". Italia Italy Curved Cut Vinyl Text Sticker. 7". 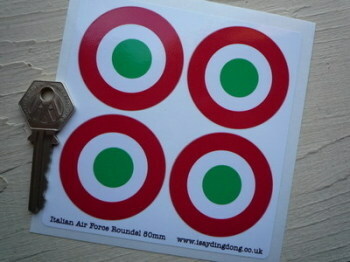 Italia Italy Italian Air Force Tricolore Roundel Stickers. 3" or 4" Pair. 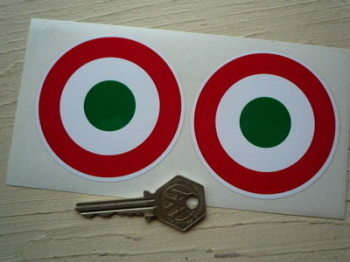 Italia Italy Italian Air Force Tricolore Roundel Stickers. Set of 4. 50mm. 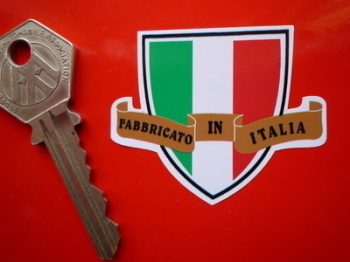 Italia Italy Volkswagen Beetle Travel Sticker. 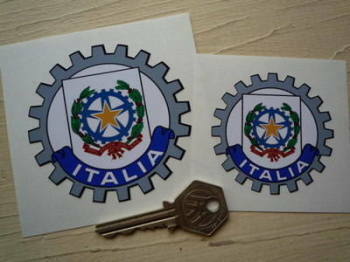 3.5"
Italia Text & Crossed Italian Flags Cut Out Italy Sticker. 4". 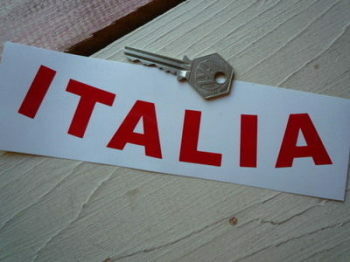 Italian Dirty & Faded Style Flag Sticker. 4". 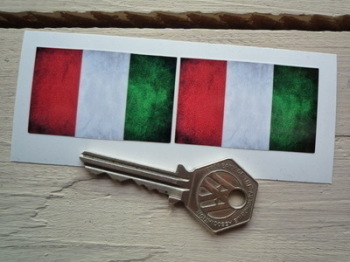 Italian Dirty & Faded Style Flag Stickers. 2" Pair. Italian Fade To Black Oval Sticker. 4", 6" or 8". Italian Fade To Black Oval Stickers. Set of 4. 30mm or 50mm. Italian Flag & Chequered No. '1' Sticker. 4". Italian Flag & Chequered No. '1' Stickers. Set of 4. 2.5". 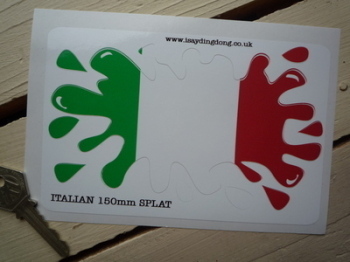 Italian Flag Splat Style Sticker. 6". Italian Flag Splat Style Stickers. 4" Pair. 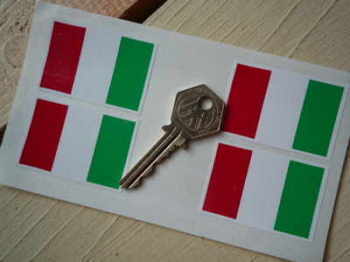 Italian Flag Stickers. Set of 4. 2" & 4". 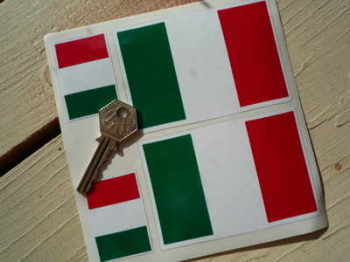 Italian Flag Stickers. Set of 4. 2". Italian Girl Standing in Italy Tricolore Flag Bodysuit Sticker. 4", 6", or 8". 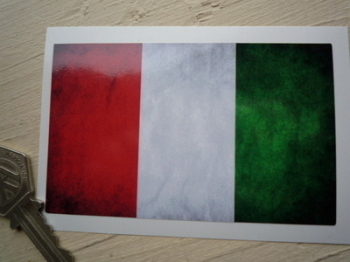 Italian Tricolore Flag Black Border Oblong Sticker. 4.5" or 10.5". 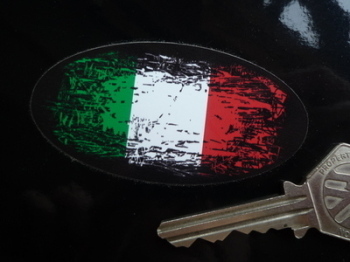 Italian Tricolore Flag Fade To Black Oval Stickers. 3" Pair. 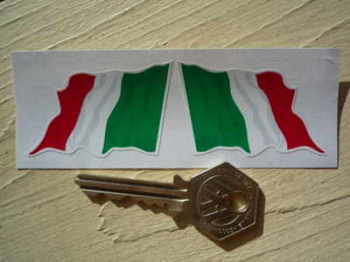 Italian Tricolore Italy Helmet Visor Sunstrip Sticker. 12". Italian Tricolore Worn & Distressed Straight Helmet Visor Sticker. 12". 35mm or 50mm Tall. Italian Tricolore Worn & Distressed Style Helmet Visor Sunstrip Sticker. 12". 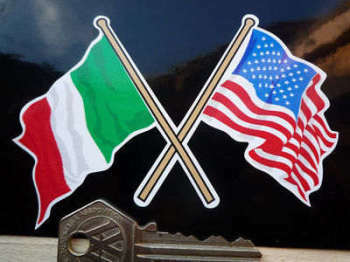 Italian Wavy Flag Stickers. 2", 3", or 4" Pair. Italy Volkswagen Campervan Travel Sticker. 3.5". Made in Italy Shield & Scroll Sticker. 2". 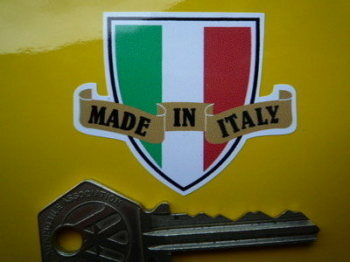 Made In Italy Stickers. Set of 4.